About company | STAVOPLAST s.r.o. STAVOPLAST co. Ltd. was founded in 1994. The main interest of our company is, to manufacture plastic products by using technology of injection, for all industrial sections. Stavoplast company is providing, high standards of quality by using a long-term theoretikal and practical experiences and knowledges of every single employee of our company. This our strategy to allow make a possible to realize unusual and speciall requirements of our customers. From begining to present, Stavoplast passed many changes. The most interesting change was inovation of machinery park and equipment. 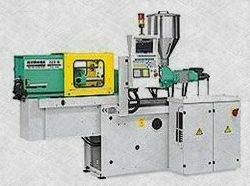 At present days, process of manufacture is provided by technology full controlled by computer. This system of work is giving the guarantee of high quality and final products as well. STAVOPLAST is holder The Certificate Of Quality EN ISO 9001:2000. The name STAVOPLAST is conected with many industrial sections as: food-processing industry, building industry, car industry and also healt service and agricultue. At present days, products from STAVOPLAST you can find everywhere – at home, at work and abroad as well.